Lately, our forum has been buzzing with talk of pre-printed albums. Which is a good thing for they often get a bad press, but seeing that there are still so many different producers making them, there must be a market for them, which means that there are loads of us out there who enjoy old-fashioned country collecting, filling gaps! I got all excited again and dug out my two remaining preprinted albums. I used to have more, of course. 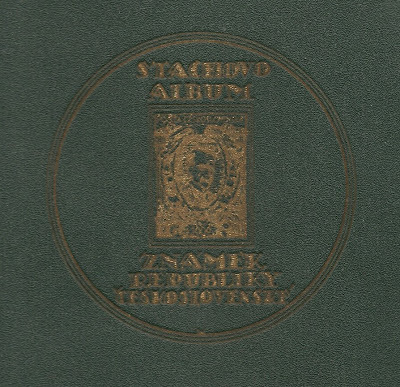 Like so many others, I started out in the 1970s with my preprinted album of the Netherlands. That was later replaced by an album for the Netherlands & Overseas Territories (for grown-ups!). 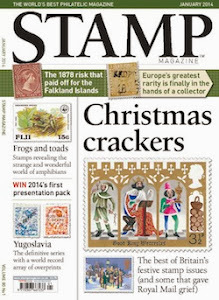 All these somehow disappeared when my interest in stamps waned for a bit. 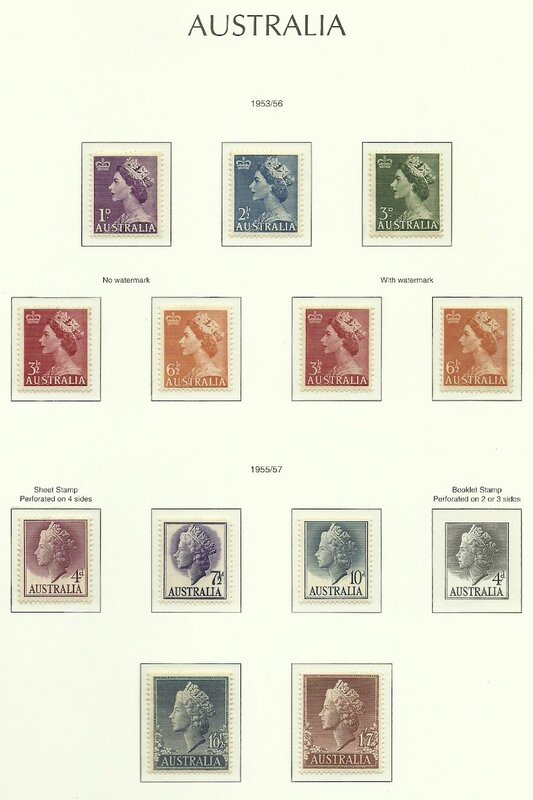 Firmly back in my philatelic seat, I purchased a pre-printed album for Great Britain, three big volumes of them. These, too, have since disappeared, for when I moved to Britain and joined my local philatelic society, I was introduced to printing one's own album pages. Wow! A whole new world of possibilities opened up, but that mainly led to me getting bogged down in wanting too much and having too many possibilities and changing my mind too often. I think that I must have designed and printed and subsequently thrown away more than 1000 album pages since! One of our forum members, Corbin, managed to formulate it very precisely: "If it was left to me, I would be forever rearranging my stamps so they were in whatever order I thought was best for a given day/week/month." My thoughts exactly! All this came at exactly the right time, for I was at a loss (again), after having embarked on my umpteenth attempt to make pages, how to proceed. Digging out my two preprinted albums, I rediscovered the pleasure of having a very structured way of collecting presented to you. And it's not just about filling gaps of a basic collection. Okay, it may not give you the explicit possibility of putting in a collection whatever you want, although inserting blank pages might help a bit, but these albums are anything but basic. 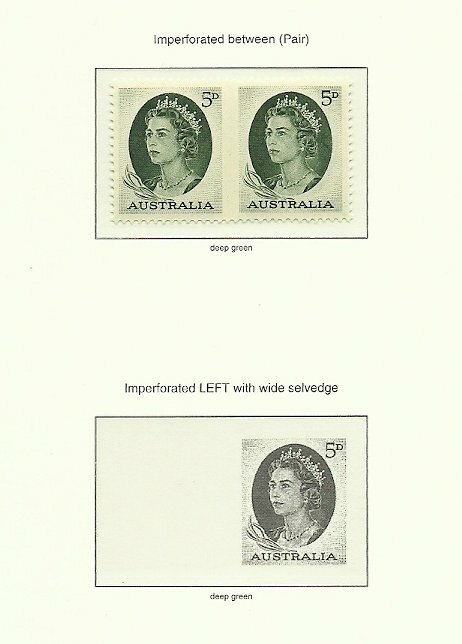 Looking at my Australia album, for example, I start off with eight pages for Kangaroo stamps, followed by another eight for George V stamps. 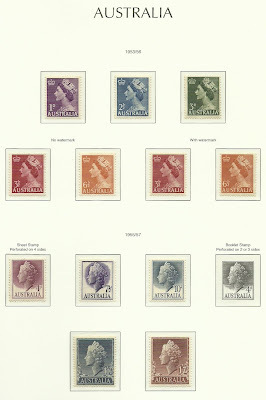 And they're not just filled with the usual varieties of value, colour and watermarks. No, they also include shades such as pale blue and pale milky blue, and they distinguish between different types of paper such as very thin, or rough & unsurfaced. Now how specialised would you like it to be? I'm even fonder of my other album, because that is an oldie. It's a back-of the-book preprinted album for Czechoslovakia, dating from the late 1920s, which I received after having bid upon a lot of stamps in an auction. It was so beautifully produced that I couldn't chuck it, and decided to try and fill it. Again, it is highly specialised, and it even allows for non-conformist items by having blank pages with only a title at the top. The fact that it is in Czech makes it even more exotic and special. I know there are beautifully produced vintage albums around of the Victorian period, complete with clasps and little keys and what have you, and my dream is to find one of those and fill it. Wouldn't that be absolutely wonderful? 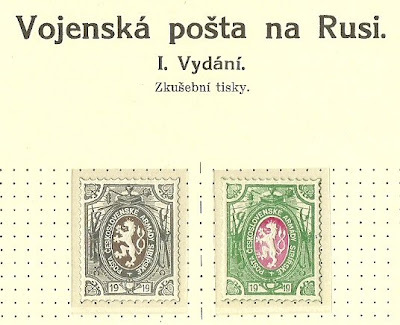 A vintage album of vintage stamps! Anyway, the end result of all this is that I'm all happy again. I'll still keep my main collection on my homemade pages, but everything else will from now on go in preprinted albums. Ideal for mentally slightly disturbed collectors like me. And at the same time I'm rediscovering the fun of collecting! Great blog. I would happily pay for a hingeless British Empire 1910-1936 (KGV) album based on SG. Someone! Please! Great article as always. I've managed to tie myself to Lighthouse for GB but do begrudge the £££. 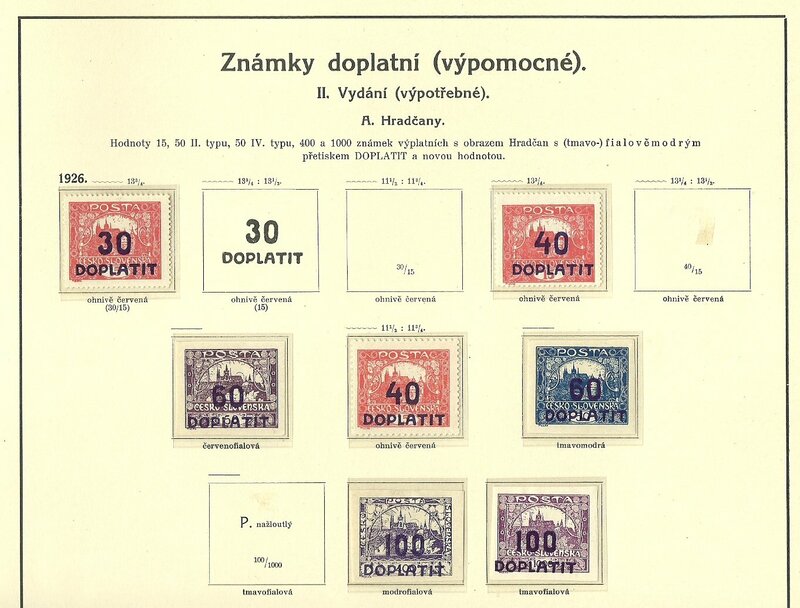 And yes the albums are worth more than the stamps, at least for recent issues. I still have some other collections (eg Hong Kong, Japan, Lebanon, USSR) which need mounting. Any recommendations for printing one's own album pages (apart from "don't!")? Did you use a particular software or something like Word and start from scratch? I've not found anything that really ticks the boxes and I reckon I'll need an A3 printer to get a decent album page size. Thanks Goodwin! "Don't" would never be a recommendation of mine. I'd always say: "Go for it!" Page size could be a problem, but I stick to A4, which is fine for stamps, maybe not for larger covers. I buy my acid free paper from a local printer. If opting for the traditionally larger stamp page size, you may indeed have to opt for a printer that does A3, which I suppose will be rather expensive, or try your hand at handwriting. I use Microsoft Word because that's on my computer and it works fine. it gives me enough freedom two design the page how I like it and I use empty text boxes as frames for my items. The only thing about a4 is that I believe that's the size which fits into exhibition frames, should you want to go on and make an exhibit. But I suppose you'd be writing that up separately anyway. Thanks Julia - although I am fairly confident I shall never be exhibiting! Having looked at this again (again and again!) I am not now convinced on cost savings either given the need to store the A4 pages in decent acid-free folders - the pages being too narrow to punch holes in. The folders are relatively expensive (eg Lighthouse 5 for £2.95 or 5 for £8.95 exhibition quality) and are also quite thick and I imagine it won't take too many to fill an album. Posts I have read on the subject elsewhere advocate the use of cheap folders available in supermarkets (eg 50 for £2) but I don't think they are going to protect the sheets or the stamps to any great extent in the long term. I reckon the best options are going to be an A3 printer and using standard blank album pages or, as Adrian suggests, getting the old quill pen out and learning how to write neatly! !